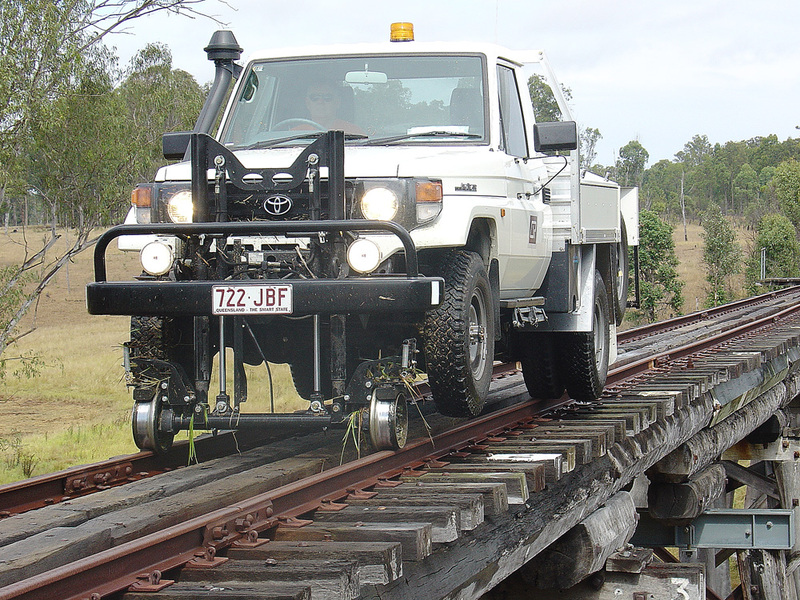 Road rail vehicles may not be for everyone, but for the rail industry they are everything. 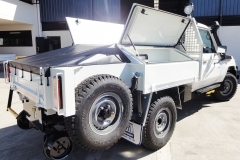 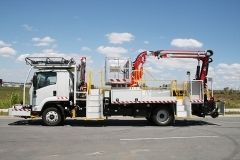 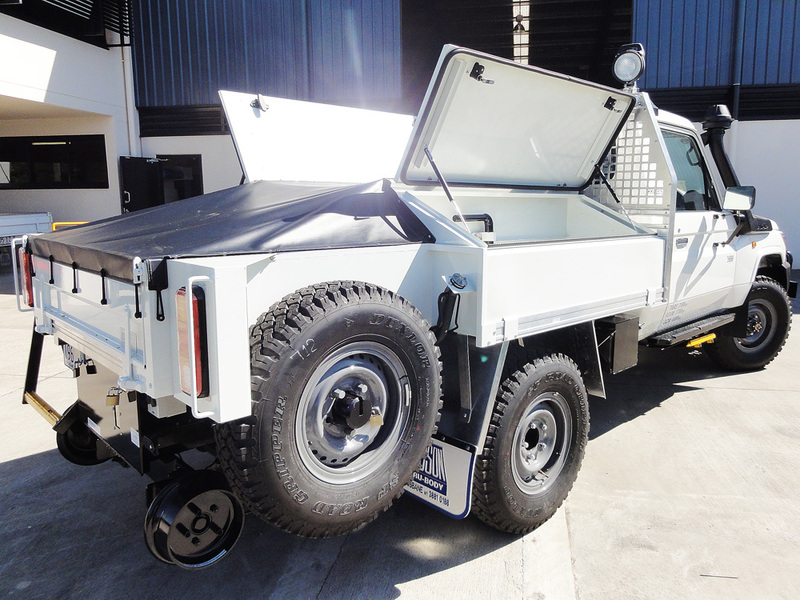 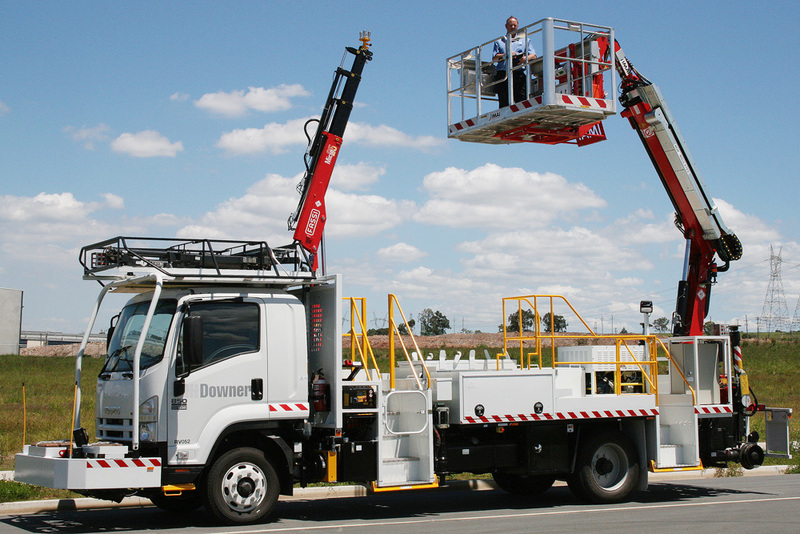 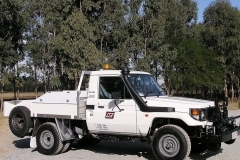 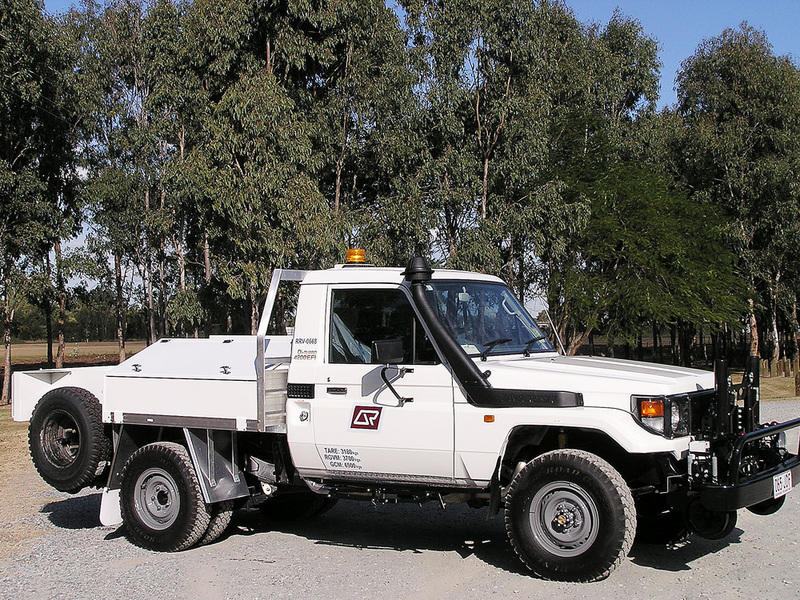 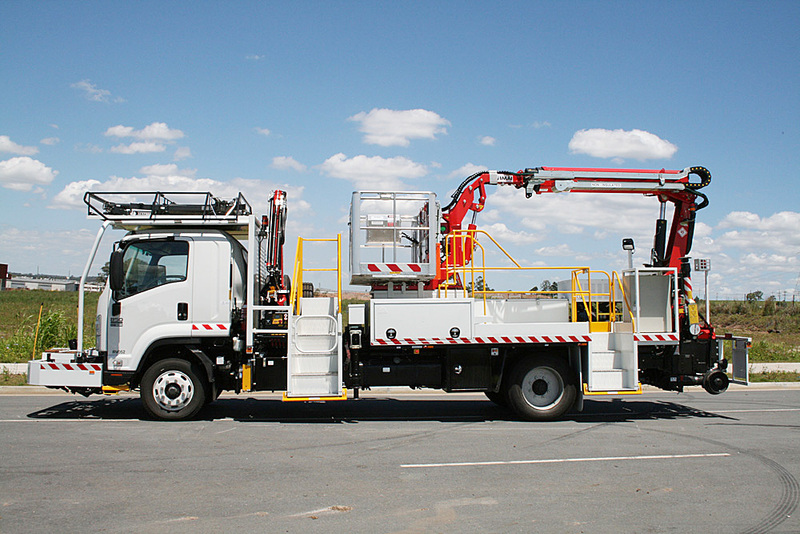 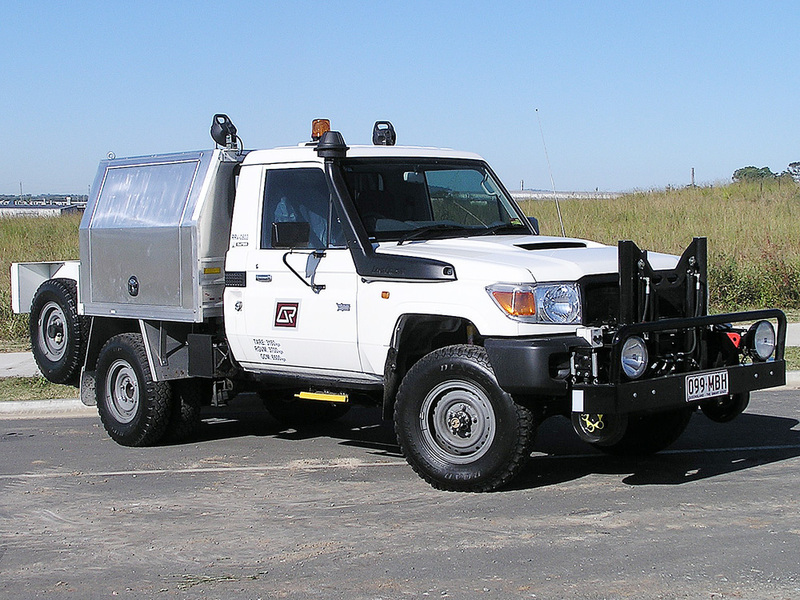 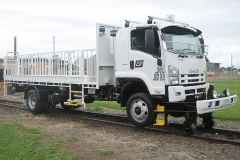 A major part of their infrastructure and maintenance requirements the road rail vehicle is fast becoming one of the biggest parts of our business. 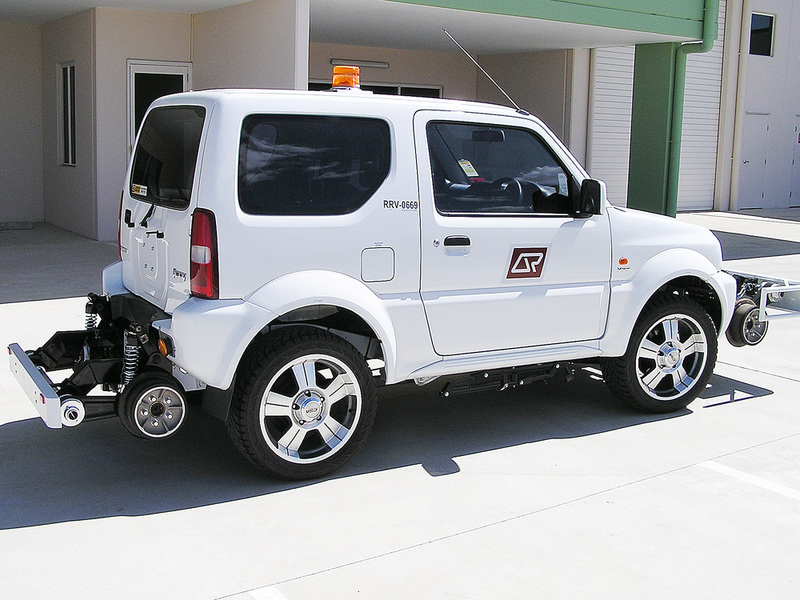 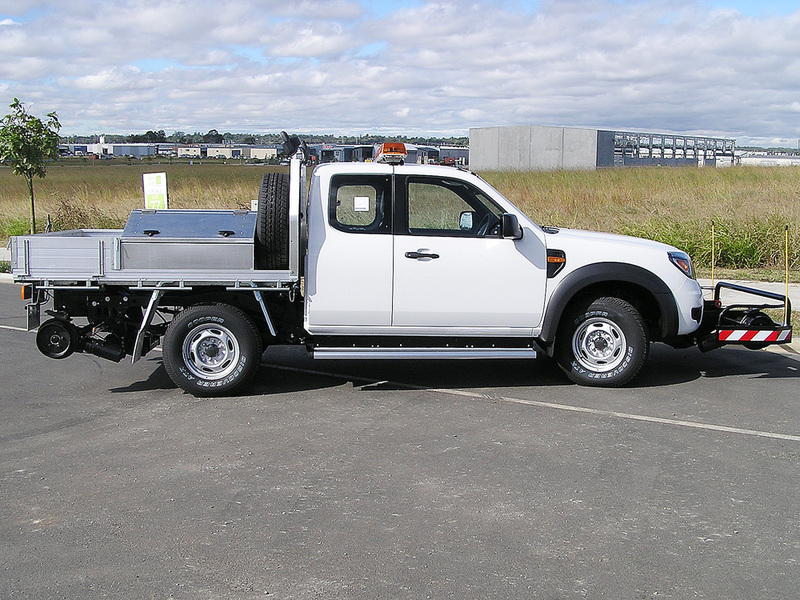 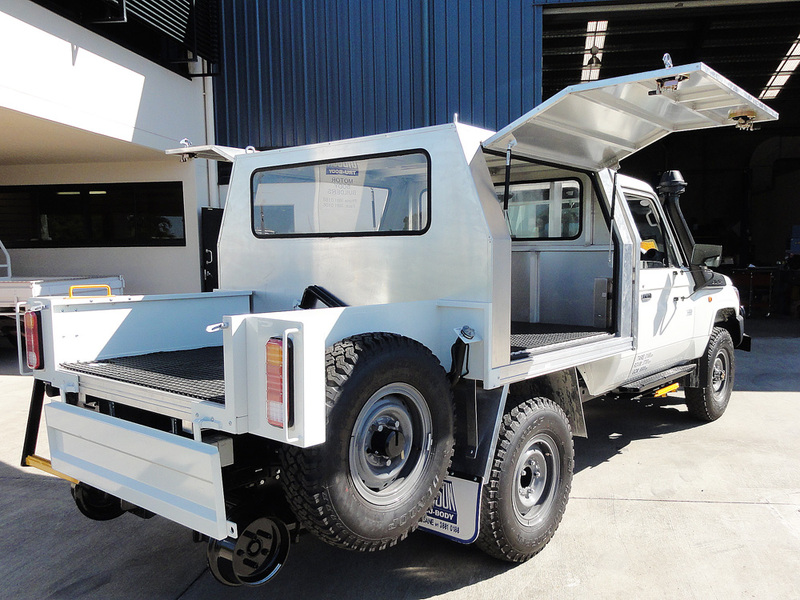 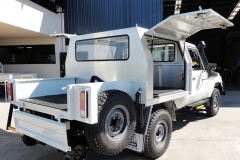 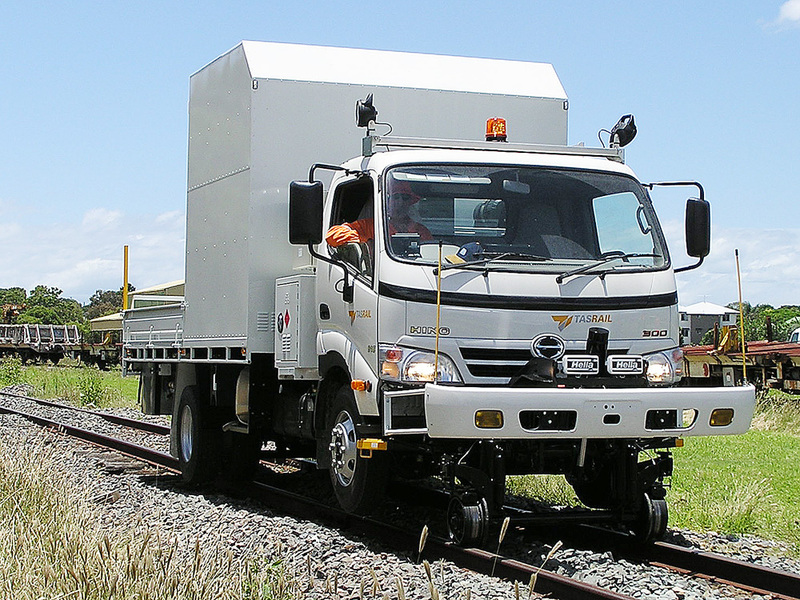 Vehicles are always built to specific requirements and are built for customers all round Australia, including a recent contract to replace the entire fleet for Tasmania Rail. 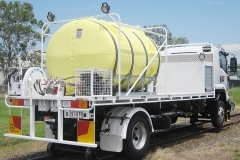 Q/Rail are another of our larger customers and has well over 100 of our rail vehicles in its fleet. 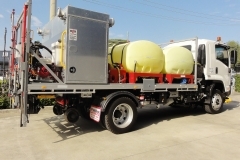 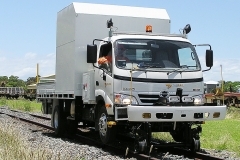 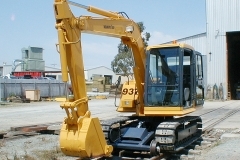 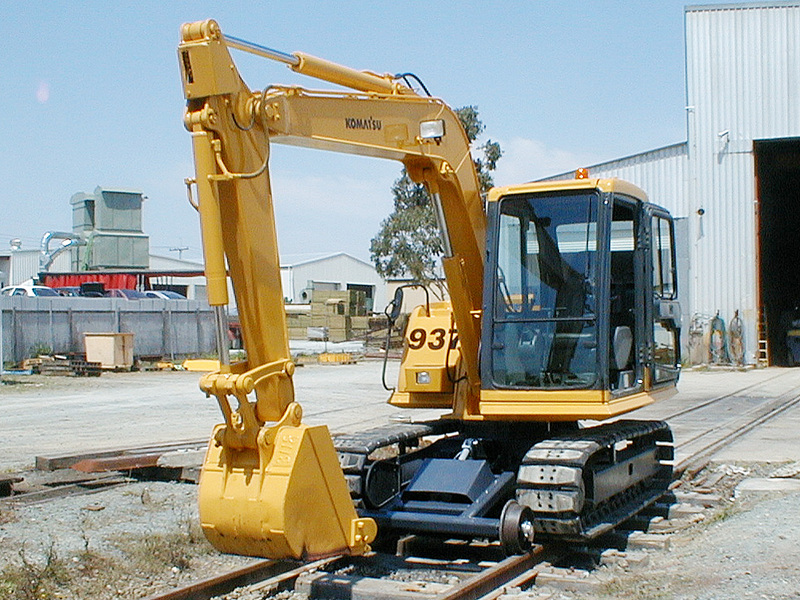 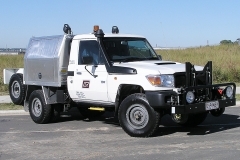 Road Rail vehicles, keeping rail maintenance Australia wide, ‘on track’. 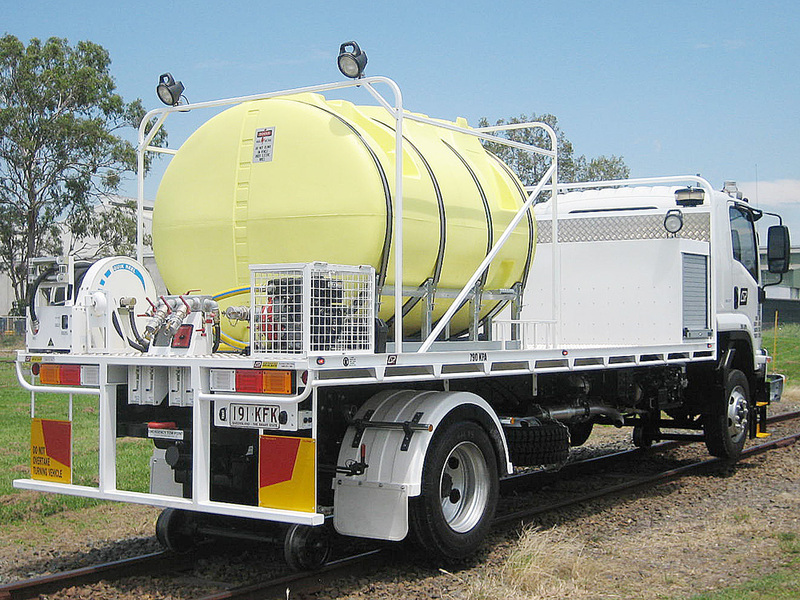 We offer a full ready to use product utilizing Harsco Rail Equipment and a myriad of control system variants. 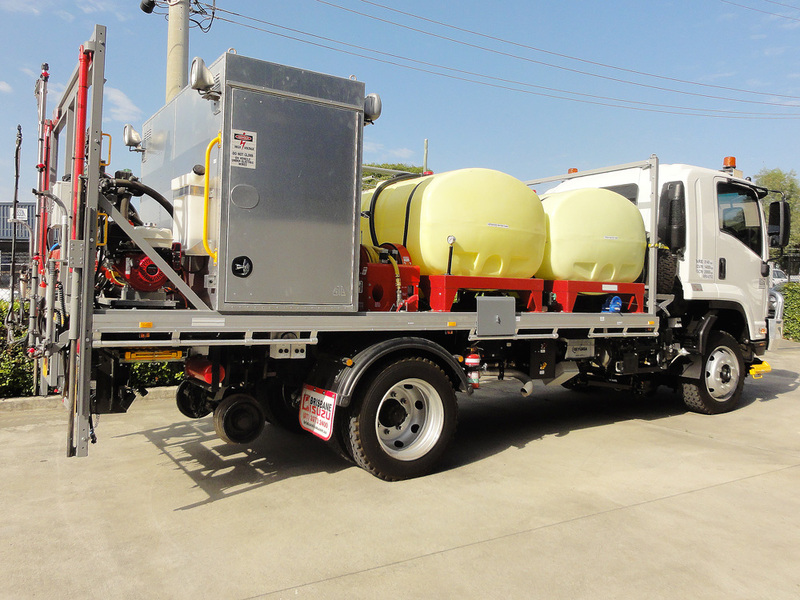 If we don’t have it – we’ll develop it! 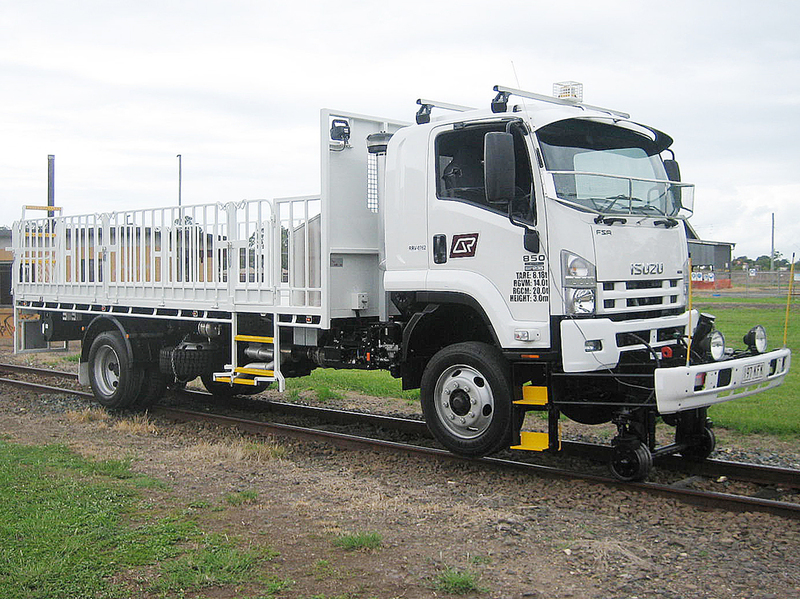 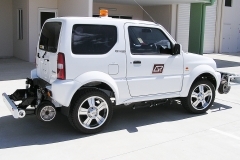 Harsco supply the Rail Guidance Equipment and Gibson Tru-Body completes the Installation and Control System. 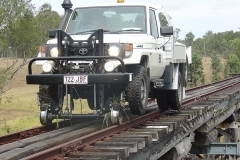 Harsco Hy-Rail guide units are designed and constructed under ISO 9001 Accredited quality assurance systems using Computer Aided Design and Finite Element Analysis to ensure maximum strength and durability. 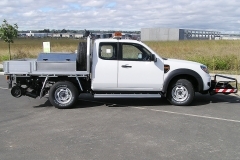 Facility to over ride any system – with automatic and instant report back to base.